A 100-member expert team under the Kerala State Biodiversity Board has been appointed to study the damage caused to Kerala's biodiversity and submit its report in a month's time, Chief Minister Pinarayi Vijayan wrote in a Facebook post on Friday. 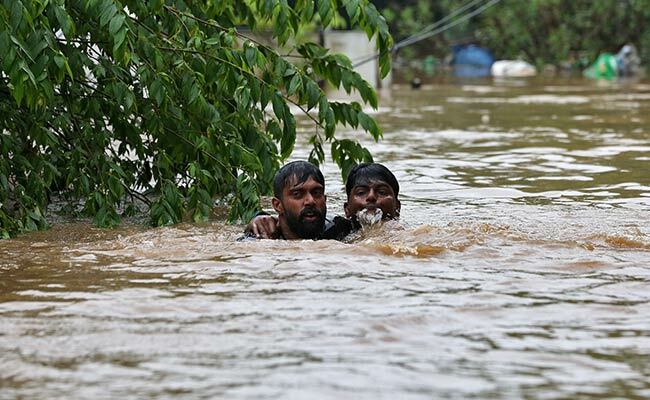 Even as the Kerala government has appointed a team of experts to study the damage caused to the biodiversity due to torrential rains and floods, the Centre on Friday reiterated its commitment to extend all possible help to the battered state. Meanwhile, Union Health Minister JP Nadda again assured the state of central help. "It's a moment of sorrow, and the government of India has stood by the state. Whatever we can do, and what more needs to be done, will be done," said Mr Nadda, who visited the Chalakkudy Taluk Hospital on Friday and a relief camp. The hospital had suffered considerable damage in the floods, the worst to hit the state in nearly a century. The Union Minister's visit comes amid an alert in the state against leptospirosis (rat fever), with authorities urging 20 lakh persons to take preventive steps after more than 100 persons tested positive. Over a dozen persons have died in Kozhikode, which is the worst affected. Industries Minister EP Jayarajan, the de facto Chief Minister after Mr Vijayan left for the US for treatment, told IANS on Thursday that there are 2,267 families still housed in 146 camps in the state. The maximum camps are in Alappuzha district. Congress legislator VD Sateeshan from Paravoor in Ernakulam said on Friday that there were around 125 families in two camps in the district. "We provided relief kits to 50,000 affected families when they left the camps. Those lodged in the camps now have no homes to return to since these were completely damaged by floods," said Mr Sateeshan. Mr Vijayan told the Assembly on August 30 that torrential rains and subsequent floods from May-end till mid-August had claimed 483 lives whereas 14 persons were reported missing. The worst affected districts were Alappuzha, Idukki, Pathanamthitta, Ernakulam, Thrissur, Kozhikode, and Wayanad, besides parts of Kannur, Palakkad, Malappuram, Kottayam and Kollam. Kasargode district remained virtually untouched, while Thiruvananthapuram recorded minuscule damage.